I am sharing my 50th recipe with one of the greatest Jackfruit recipes. 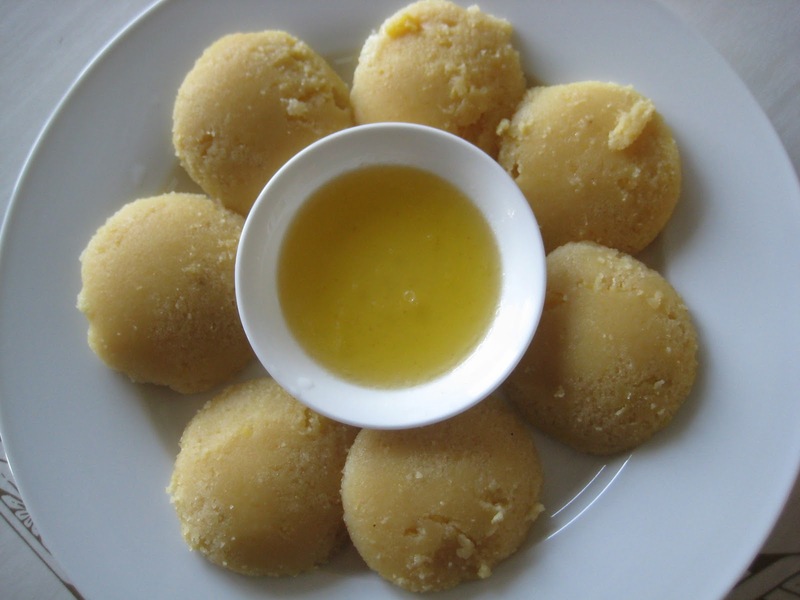 I learnt this recipe from my mom. Traditionally Rice and Banana leafs are used to make this dish. But I used semolina instead of Rice because it makes the cooking faster. If you have time, go ahead with Rice. I used Idly plates since I do not get Banana leaf here. Give it a try. Have fun. Dry roast the Semolina until you can feel the aroma. 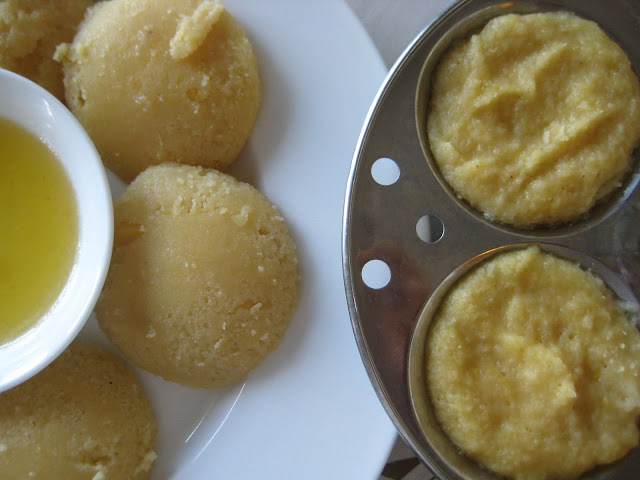 Mix the roasted Semolina with Jack fruit pulp,Jaggery,Coconut and salt to taste. You can add 1/4 tsp Cardamom powder if you like.Add some water if required.Consistency should be as of Idly batter. 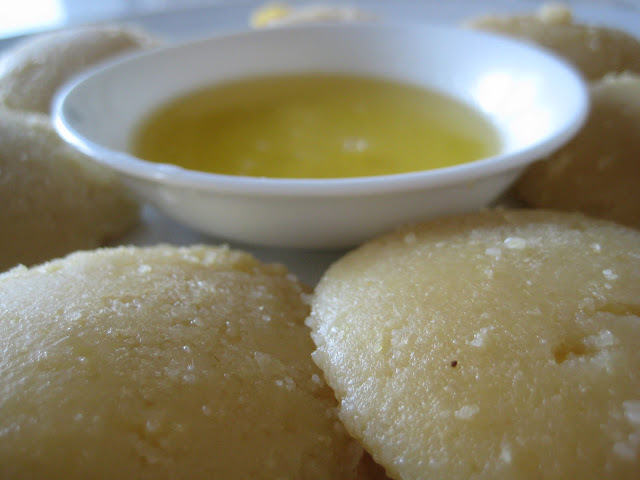 Grease a Idly plate with some Oil or Ghee( not necessarily), pour a table spoon full of batter.Steam for 15-20min.Allow to cool for few mins. Serve hot with Ghee and fresh Coconut Milk. Soak 1 cup of rice for 3-4 hours and coarsely grind with Jack fruit and Coconut.Add Cardamom powder,Jaggery and salt mix well.